Tired of your old worn out carpet? Schedule a free carpet installation estimate with The Carpet Guys today! Our shelves are stocked to the brim with the best brand name products and the price tags are fair and affordable. 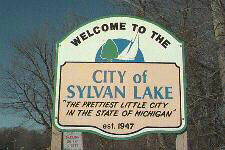 We strive to provide the best carpet Sylvan Lake can get. Getting new carpet installed is a huge investment, so getting cheap quality carpeting is out of the question. We can give you the high end products you want with prices that work. For anyone who wants new carpet in Sylvan Lake, we are the ones for the job. Contact The Carpet Guys for all your carpeting needs. Plush Carpet is the perfect carpet type for a room with a sophisticated and classy design. Add a velvet like feel to your rooms with plush. Frieze Carpet gives any room a sense of personality and casual flair. Dress your rooms with the tightly twisted frieze. Berber Carpet is a durable fit for any home that has a lot traffic during the day. Keep your rooms looking good and strong with berber. Looped Carpet offers and interesting underfoot feel due to its multi-leveled loop make up. Find looped carpeting in many popular colors and styles. We guarantee that the carpeting you select from us will not only look and feel good, but it will last for quite a while. Take a few moments to schedule a free in-home estimate to get started. Either fill out the form provided on our website or call in and speak with us. We look forward to hearing from you soon.